Integumentary System Description | Your Guide to Healthy Living! Integumentary System acts as a protective barrier from the outside world to ensure your survival and health. Your skin and hair are normally the first noticeable signs that you are ageing. In addition, the Integumentary System is responsible to provide your body with important substances such as baby milk, seat, tears, saliva and more. The Integumentary System description below assists you to understand how the system works. 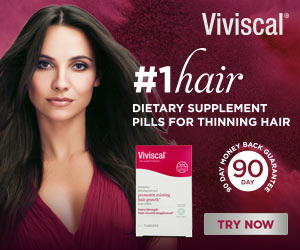 This is beneficial to you in making more informed choices regarding healthy hair and skin health supplements. Your diet alone could easily fall short in the supplying the Integumentary System the nutrients to cope with loss in skin elasticity, aging and performing the vital integumentary functions. This human Integumentary System is a organ system made up of hair, skin, nails and Exocrine Glands. The Exocrine Glands forms part of the Exocrine System that produces and secretes substances as discussed in detail in my blog post Functions of Exocrine Glands. The role, main functions and main organs of these systems are discussed below. The Integumentary System helps support the body’s structure and is the human’s first layer of defense to protect the body from outside harm. As the largest human body organ, the skin is your effective waterproof and defensive casing. Tissue and Organ Protection: Protect the body’s internal living tissues and delicate organs against physical damage by abrasion, nature or any other way. Infection Protection: Prevents invasion and infection of potentially harmful organisms such germs and pathogens. Dehydration Protection: Retains moisture into deeper tissues and prevents them from drying out. Ultraviolet Protection: Melanin pigments insulates the body against the sun’s UV rays avoiding skin cancer. Exocrine Functions: The exocrine function includes making substances such as sweat, tears, saliva, or milk. The Exocrine Glands produce and secrete these substances, as discussed in my blog Functions of Exocrine Glands. Skin Absorption Function: Our skin is moisturized and nourished through the pores on the surface of the skin. The skin absorbs oxygen, vitamins, acids and water. Body Waste Excretion: Notably, the skin is the body’s largest waste removal system releases waste materials (toxins) through perspiration (sweating). Cutaneous Sensation Function: Sensory perception allow humans to detect and response to the environmental stimuli. It lets us experience sensations of touch, pain, body pressure, heat and cold. Body Temperature Regulation: The skin helps our body to main temperature homeostasis. The sweat glands allow the skin surface to cool by releasing body heat (sweating) when the body gets overheated. The Integumentary System helps regulating body temperature by working closely with the Sympathetic Nervous System. Body Storage Function: The integumentary organs temporarily store useful substances such as water, vitamins, salt, fats and other chemicals. Vitamin D Provision: Through synthesis using the sun’s UV rays the human body is supplied with Vitamin D to facilitate growth of the bones and teeth. The major structures of the Integumentary System are the skin, hair, nails and Exocrine Glands. Considering the surface area of the skin, it is the largest organ in the body. 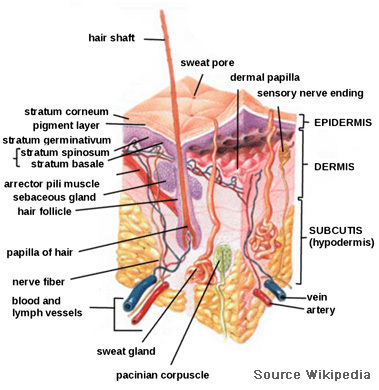 The skin consists of several layers as indicated in the diagram of the Integumentary System’s skin. The human Exocrine System consists of the following glands: Ceruminous Glands, Lacrimal Glands, Mammary Glands, Mucous Glands, Salivary Glands, Sebaceous Glands and Sudoriferous Glands. 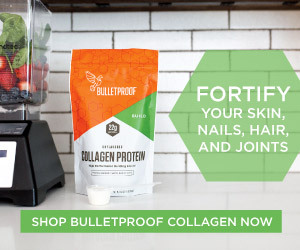 The most highly recommended supplements that work for the human Integumentary System are based on 1,000s of user reviews. These supplements are continually updated. Please provide comments and submit supplement recommendations that worked for you, on skin health and healthy hair by completing the form below.